Leading photography print labs like Miller’s Professional Imaging, GPA, White House Custom Color, Richmond Pro Lab and Technicare have all embraced CaptureLife as a new way to generate revenue from both digital and print products. They recognize that delivering a social, mobile and digital experienced aligned with the expectations of today’s consumers is essential to driving more success for their business and the professional photography industry as a whole. But key to any print lab operation is the ability to efficiently process customer orders submitted from their network of professional photographers. 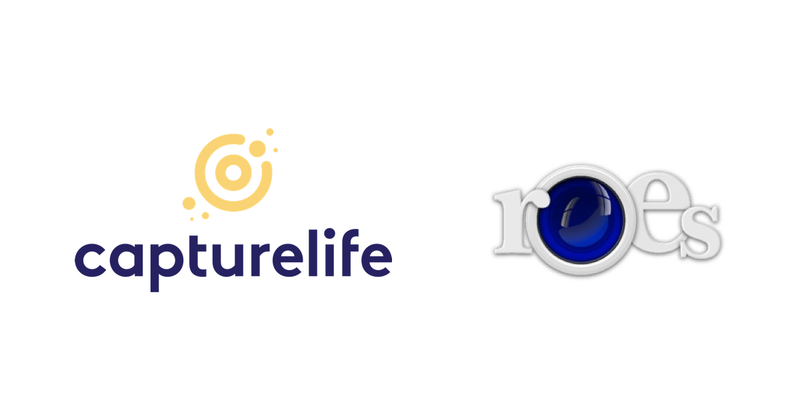 CaptureLife already integrates with popular lab systems, such as PhotoLynx, and is now pleased to announce our partnership with Softworks Systems, Inc. and their ROES Platform. The integration of CaptureLife with the ROES Platform, including ROES Server, ROES Desktop, and ROES Web, means that the 175 print labs that use ROES today will be able to offer all the benefits of CaptureLife to their pro photography customers. Current CaptureLife professional lab and photography customers have already realized the ability to generate more revenue by delivering memories directly to the consumer’s smartphone with the CaptureLife platform. Those professional images appear in the CaptureLife app, allowing parents to view and share their memories, and then quickly and easily purchase additional digital and print products with a tap of a finger. The combination of CaptureLife and ROES means that even more labs and photographers will be able to unlock this dynamic and as yet, relatively untapped mobile marketing and commerce opportunity. "Professional print labs have been an important focus for CaptureLife as we've evolved and built our technology platform. We know they are central to delivering the quality products that pro photographers expect and consumers want," explains Scott DeFusco, CEO of CaptureLife. "This new partnership will not only expand our reach in the market, but more importantly, it will accelerate growth for our lab and photography customers by allowing them to tap into the growing demand for high quality, digital memories." This new partnership also offers another extremely valuable benefit to professional print labs. Softworks Systems’ new ROES Web commerce platform is now seamlessly integrated with the CaptureLife Print Store. This means that any consumer enjoying and revisiting their cherished memories within the CaptureLife app will be able to access the lab's catalog of print products and purchase with one tap. By offering this powerful combination of a modern shopping experience with the convenience of an app, CaptureLife has proven to drive future purchase rates up by 20 to 40%. Simply put, this translates into increased print revenue for labs and their photographers, not to mention delighted consumers. “We’re very excited about this important new partnership with CaptureLife,” explained Kirk Arends, Executive Direct of Business Development at Softworks Systems. “We’re unveiling CaptureLife at our upcoming ROES User Group meeting in Chicago and we know that our lab customers are going to be intrigued by the possibilities and excited about what the combination of ROES and CaptureLife will mean for their business."